The 18 month journey into the Epstein Archive continues as Bob and Roberta Smith and Archive curator Neil Lebeter further investigate its hidden treasures. Over two weeks in September, Bob and Roberta Smith will begin constructing Eppy Daddy Battle Bot, a large sculpture of Jacob Epstein as an enormous wooden action figure. Eppy Daddy Battle Bot is inspired by Epstein’s Rock Drill, which Bob and Roberta Smith regard as the first imaging of the robot. 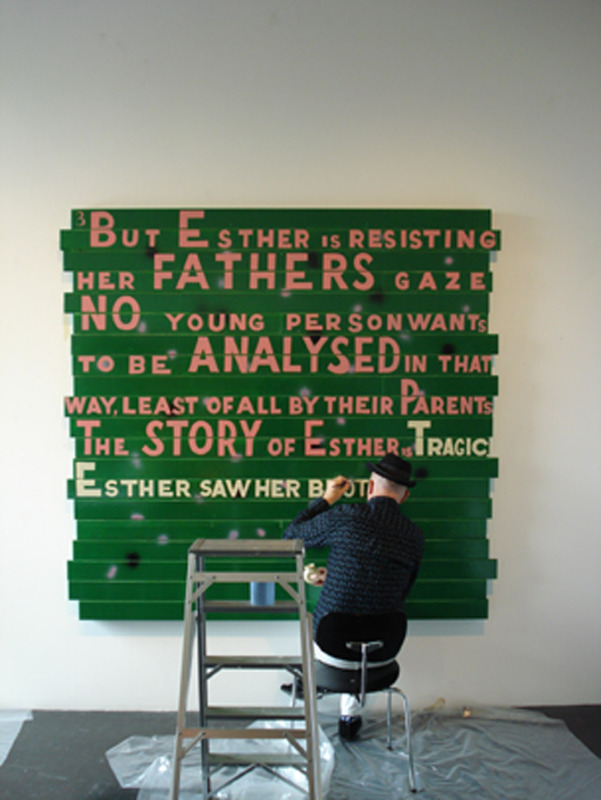 Image credit: Bob and Roberta Smith, See Esther Walsall’s Mona Lisa, 2010.